I have wasted a lot of money on fad diets, diet clubs and diet foods - but never again! Those days are gone and I know I will never need to go on another diet. After 40 years of dieting, Jennifer was naturally sceptical about yet another weight loss plan. She saw food very much as 'the enemy', which controlled a large part of her life. I am your typical yo-yo dieter, weight constantly up and down, always following the latest fad but never keeping the pounds off for long. 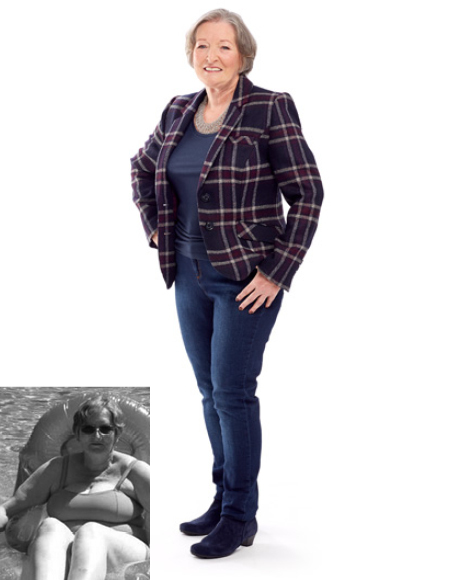 After being diagnosed with arthritis, I knew I had to shift some weight but nothing had worked for me before. Food was always on my mind but it was all extremely negative: what I couldn't eat, what I had to avoid, no rooms for any treats - and deciding what to eat every day was just a chore. The diet industry is all about restricting foods but the Nutracheck approach is very different because it doesn't have any 'banned' foods. That knocks down so many barriers and immediately makes choosing what to eat easier and much more pleasant. It's quick to use - and it's very addictive! It's part of my daily routine now and I love the way it has put me back in control. Food is not my enemy any more. I have rediscovered the joy of cooking as well as eating because I no longer feel restricted in the ingredients I choose – and I can eat butter, which is a joy. I spend no more than 10 minutes a day adding what I eat to my online diary and the calories tot up. Nutracheck has educated me to understand that there's no such thing as bad food - only bad food choices - and as long as I plan ahead and stick to my target, the weight stays off. I feel totally in control of my life and my health. My medication for high blood pressure has been reduced which is wonderful and my arthritis has definitely improved. I am surprised how much Nutracheck has become second nature to me and I wish I had discovered it years ago.